We found this recipe in Jeff “Beachbum” Berry’s iPhone Tiki Drink app. 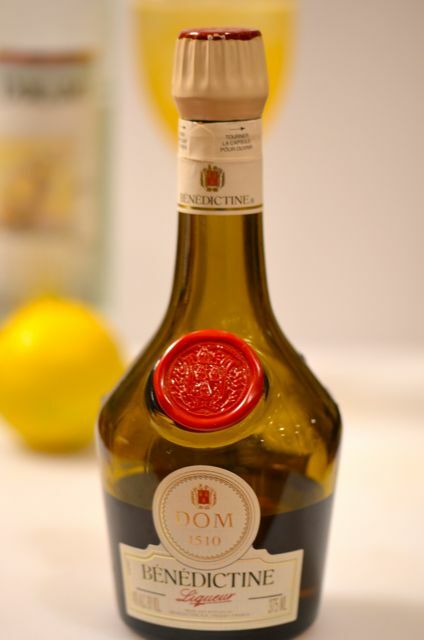 We bought a bottle of Benedictine for some classic cocktails, but we didn’t find anything we loved (yet), so we started to look at other uses and searched the Tiki Drink app for Benedictine. More famously, Benedictine is in the Singapore Sling, but the Lani-Honi looked tasty and easy to make. And it was. Carolyn and I both loved the Lani-Honi and we plan to serve it at a few summer parties. We think almost everyone will enjoy it, the Lani-Honi just feels like a cocktail that will please a crowd. 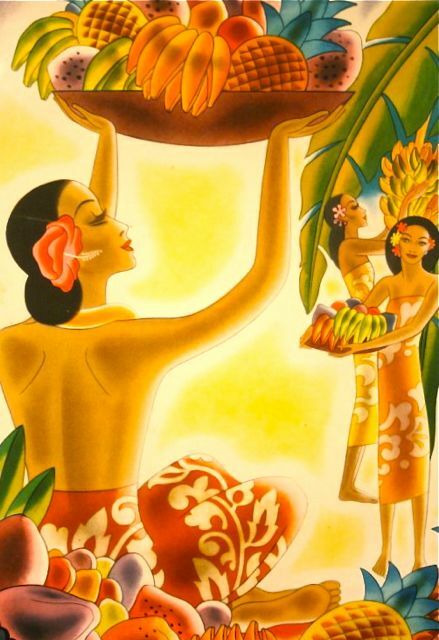 Art from a Matson Cruise menu. And that may not be too surprising. The Lani-Honi originated as a cocktail served on Matson Line Cruises in the 1960’s. Cruises back then were quite a luxurious affair and good libations were thoroughly enjoyed. We actually collect (and use as art) Matson line cruise menus, so we immediately got an extra kick out of finding this recipe. Sometimes a cocktail not only surprises you with good flavors, but some fun “story” as well. Combine all ingredients with ice in a cocktail shaker. Shake thoroughly and strain into a goblet or wine glass filled with ice. Serve. This looks/sounds fantastic. I am going to try it out. Thanks- hope you like it..
Have you tried a Frisco? 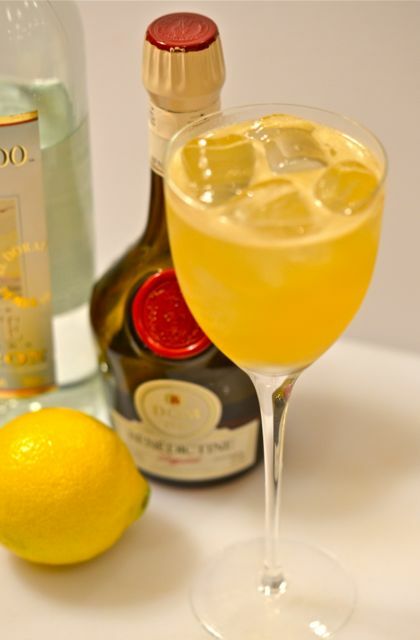 Rye, Benedictine, and lemon juice – Frank Bruni wrote about it in The NY TImes a while back. I played with the proportions so much I got too drunk to remember what the best combination is, so you’ll have to figure it out and post it – it’s kind of a winter drink. Thanks- we will give it a try- rye does go well with lemon, so should be good (and we will look up the article- thx). In a big coincidence, I had not heard of this drink until last Saturday when I was doing my bar-tending night and a cocktail enthusiast patron waxed lyrical with it, noted my scepticism and insisted i mix him one up and try it. 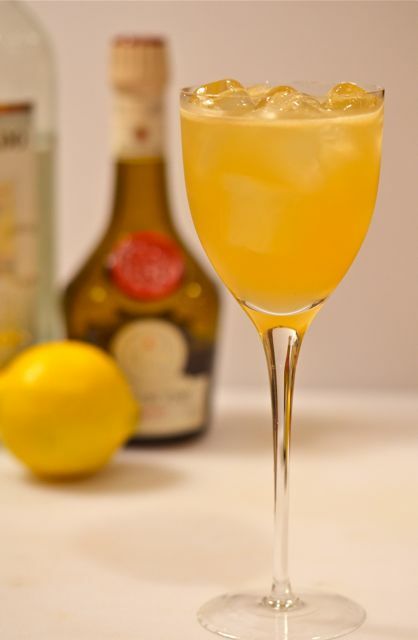 I think his proportions were a bit different (I have them jotted down on the back of a card somewhere – maybe 2 oz rum, 1 Bene, and half lemon), but it WAS really nice. I’ll have to try a whole one and maybe compare the two recipes. I love Bene. I can jsut sip it straight on a cold night, with tonic and ice or in a B and B (maybe with a little St Germaine if I’m feeling extravagant), and as Lettershead says, it goes well with Rye (and gin of course) and there’s recipes with Rye and Bene out there. Funny, but a few friends also stumbled on this drink…it is a good summer recipe here- so it might be the season. We also like Bene, but this is the first summer drink, other than the Singapore Sling, with it we can think of. It is also the only drink that has so much of it…but it is very, very tasty.. 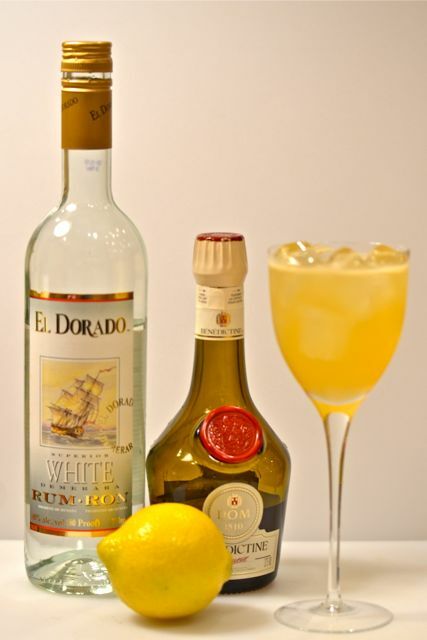 This drink is also unusual because the ratio of liqueur to base spirit is inverted. Damn– I sense another Party Going Out of Bounds! This sounds tailor made for Karaoke Night! Hotel California, Anyone? Has a bit of that feel..but it is good. We just served it at a party and it went over very well.. Thanks for reading- enjoying you blog!